For the most affordable lobster roll in this city, Luke’s Lobster Pound steps up to the plate and hits a home run. I’m not convinced its anywhere near the epitome of lobster rolls, but it’s darn good! shi’s eating has already covered our visit to Luke’s, but here’s my take on it. First, you should know that Luke’s UES locale is not a typical sit-down restaurant. It’s more of a counter-top and high-table joint. Might meet your fancy. I won’t judge. When I went, it wasn’t too crowded. The will I get a table oh no how will I eat my dinner anxiety had no place at Luke’s. So, the lobster roll. Gobs of lobster pieces are loaded onto a toasted simple top-split bun. The lobster salad is lubricated to my taste and the bun didn’t taste anything like Wonder bread. I hope you know that’s a good thing. 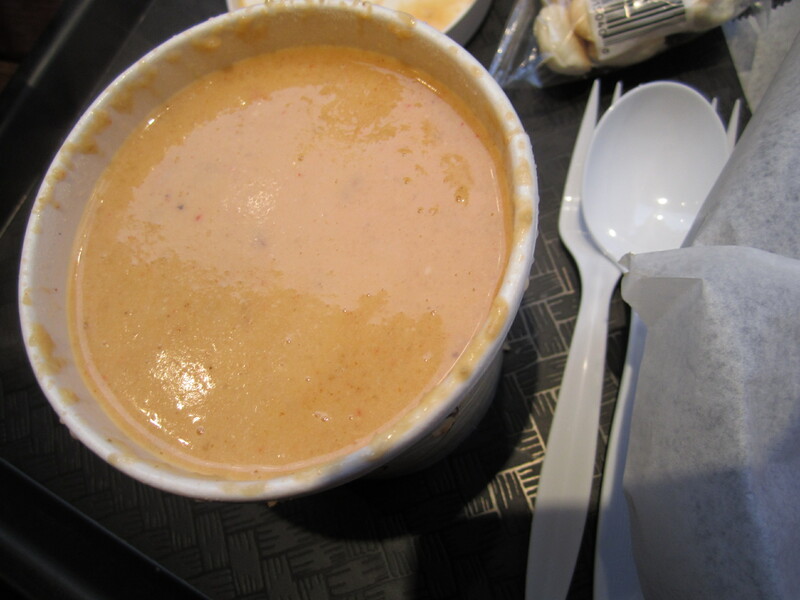 I also ordered lobster bisque and attached high expectations to the small white soup container. Could it be as good as the Tavern at Dan’l Webster Inn? No, not nearly. In fact, I wouldn’t recommend the bisque. Sure, there were bits of lobster, but the liquid was too thin and boring. I was looking for excitement! Flavor! A few hours following our dinner, I felt hungry again. Was the lobster roll not big enough? I couldn’t tell. When you order two to fill your gut, the deal may not be as convincing. Check out their menus for interesting combination platters if you’re bottomless. I look forward to trying Luke’s other location. 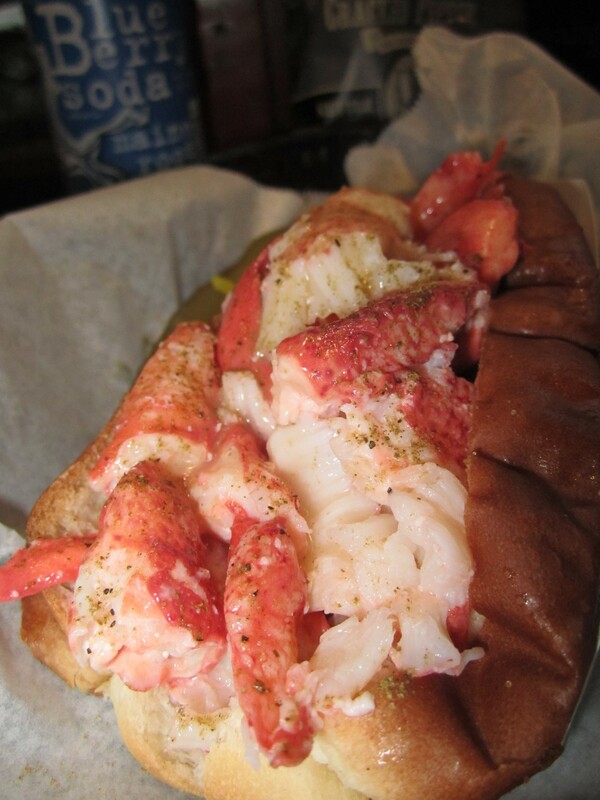 Where’d you find your favorite lobster roll? Can a girl get a hint?